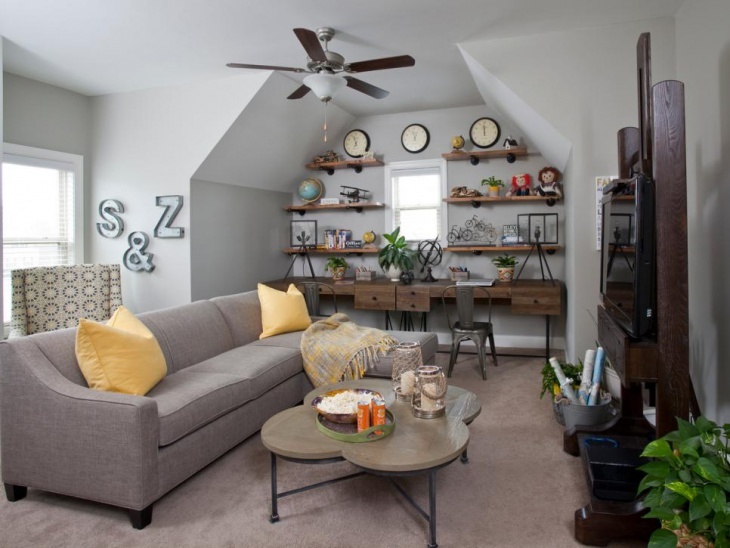 Creating a plan for a small spaced living room may be a little intimidating. 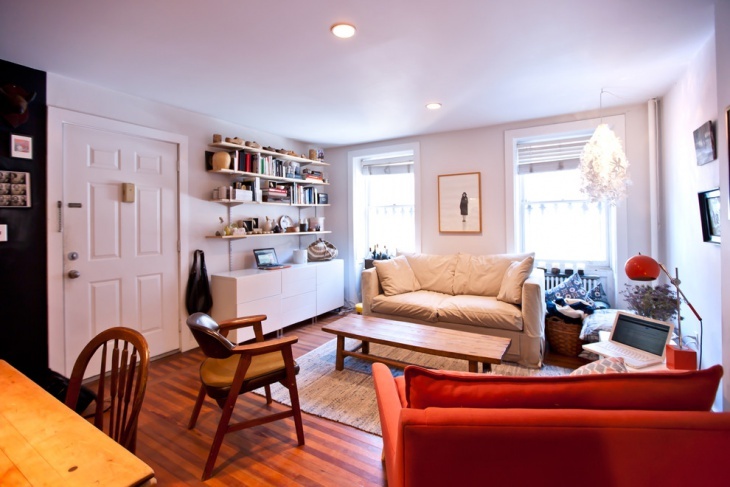 Sometimes, it is much harder to make a design for small spaces than for larger spaces. The trick here is to consider the furnishing needed and eliminate incorporating accents with no use. Choosing the right color for the walls, flooring, and every item in the room is an important factor to consider. 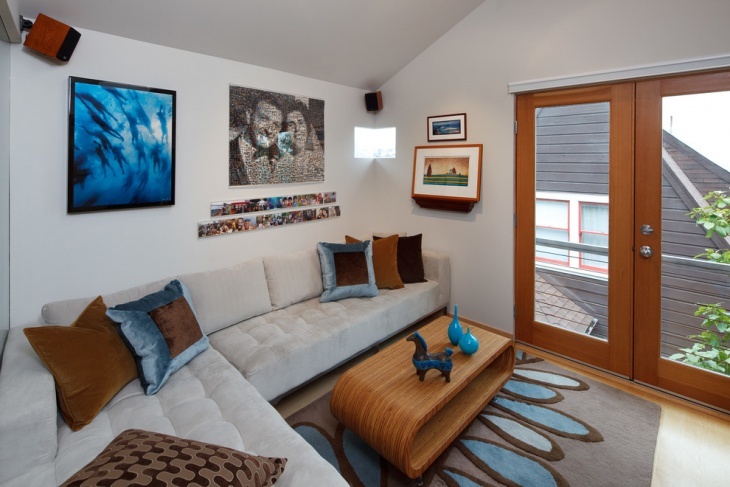 A sliding glass door can be used to achieve that bigger space look into any small-spaced area. For this living room/loft, a sliding glass door separates the living area from the kitchen/dining area. White walls partnered with white furnishings and the thick white rug create the illusion of extra space. A room that serves both as a living and a dining room should be designed effectively so that the set up will not look crowded or heavy on the eye. 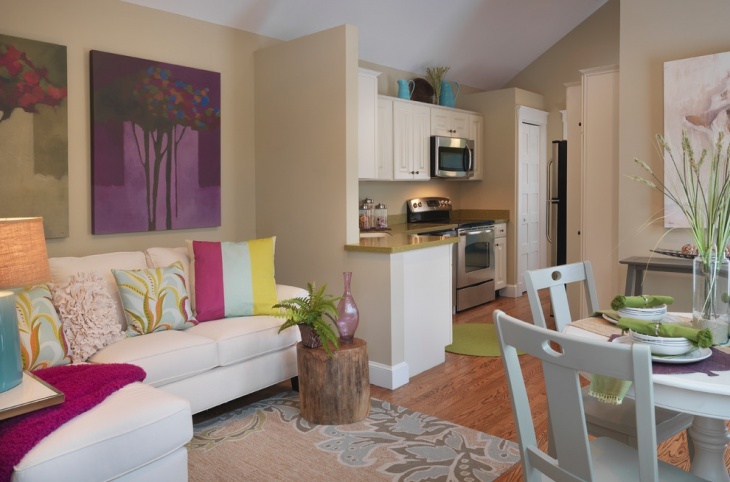 In most modern living accommodations, this set up is very common and it is more commonly called as a family room. 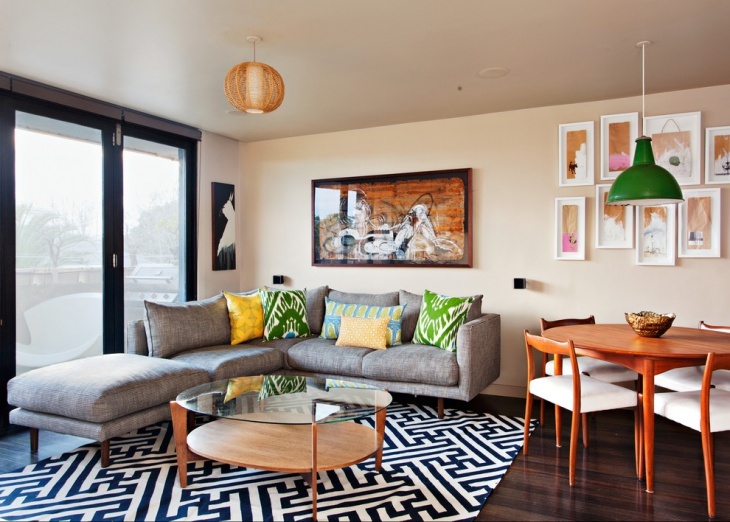 A nice eclectic designed rug provides a nice base for the couch set and round coffee table. The wooden four-seater round dining table looks elegant, especially with the hanging lighting. The sliding glass door that leads to a veranda, porch or patio allows natural light to penetrate. 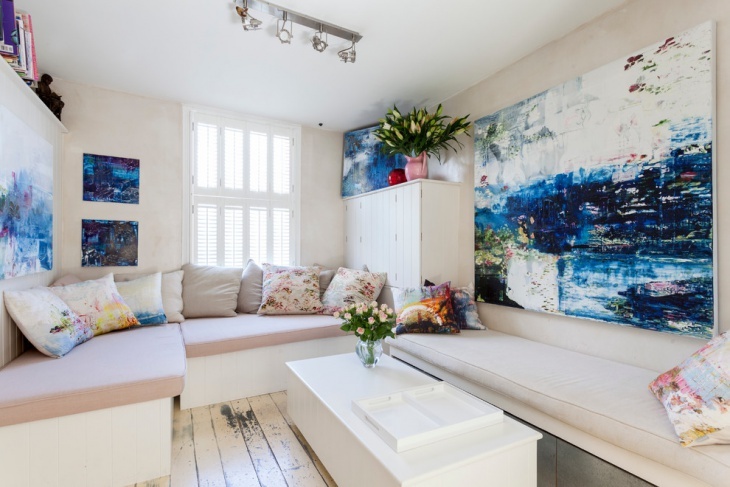 A tropical look can be easily achieved for a small spaced living area. 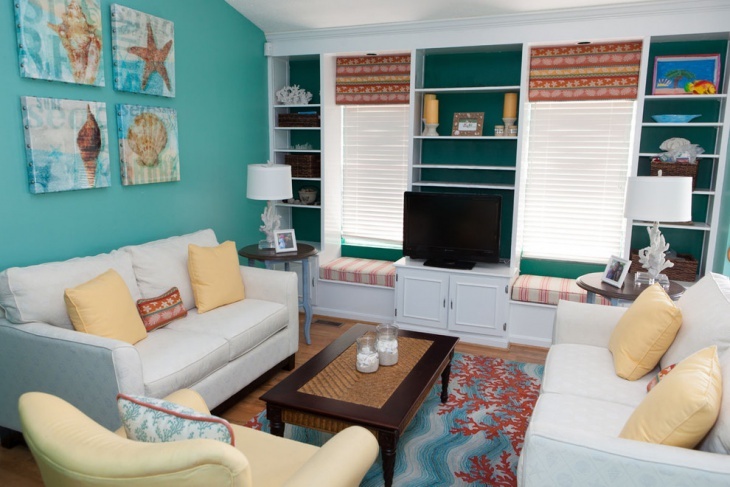 All you need is some beach-inspired accents – like the rug (the one use in this room has red corals and blue waves accents), wall arts, and ornaments for the shelf. The classic blue wall is, of course, a must. Window seats provided additional seating option. 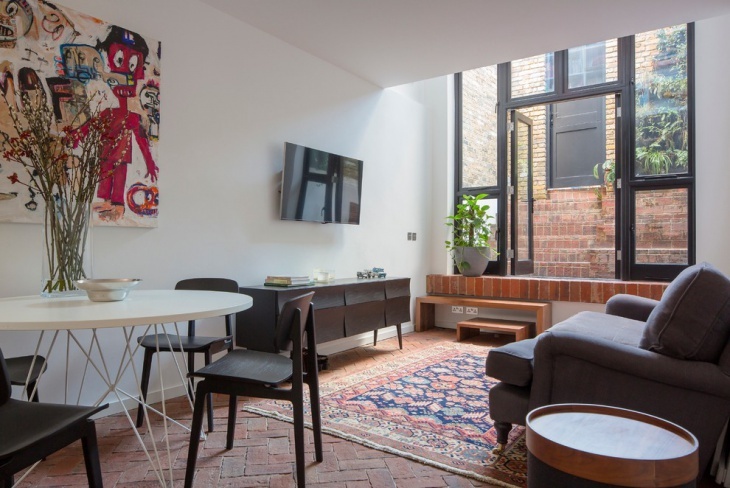 A fireplace in a small-spaced living? Why not? You can even add a Mediterranean appeal if you wish to. The trick is to space out the furnishing effectively. With the fireplace occupying the center of one wall, a wall art can be placed on one side and the other side can be accented with a tall mirror. 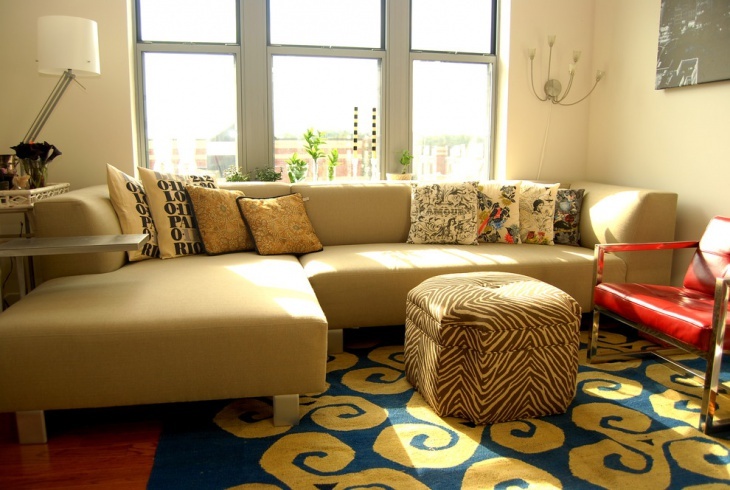 Couch and lounge seating can be placed facing each other with a coffee table in between. You can add a traditional leather chair in one corner of the room and a wide vintage chandelier to complete the eclectic look of the room. To create a great retreat space in your farm house, you should set up your living room with a wide French door that provides access to the deck. Modern chandeliers will provide a unique accent, as well as the cluster of hexagonal small tables used at the center of the room. 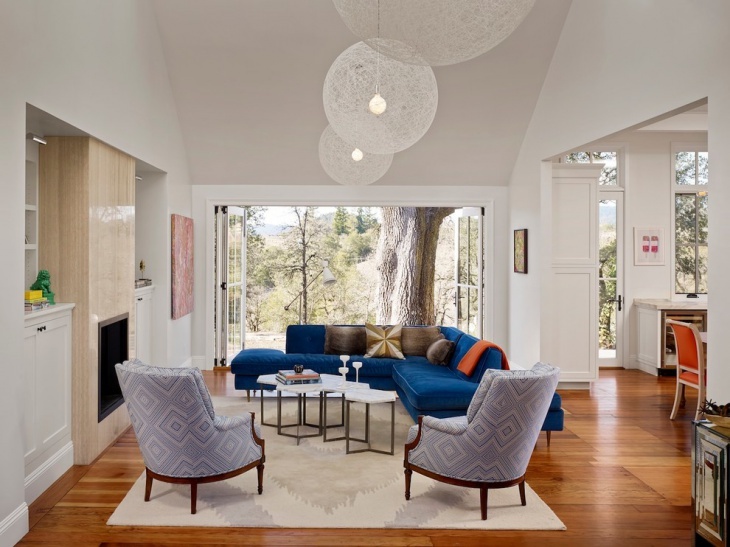 A colorful couch (blue L-shaped used in this room) and the dark polished wooden floor provide some dashes of color. Although white or any other light color creates the illusion of space, a splatter of colors in a living room can also give it a spacious look. Traditional colored rug is great as a floor cover. Beautifully designed colorful throw pillows provide playfulness into an otherwise boring regular sofa set. Dark color for the walls is also a good idea, as well as the brightly colored drapery used for the window. The small space of this area is used efficiently with a small home office integrated into the living space. The gray colored sofa would have looked dull if not for the yellow pillows. The uniquely shaped coffee table provides the eclectic appeal while the rustic look is provided by the wooden entertainment stand and wooden wall to wall desk. Design By : Inigo & Co. The best way to achieve a good result for a small spaced room is to be minimalist. 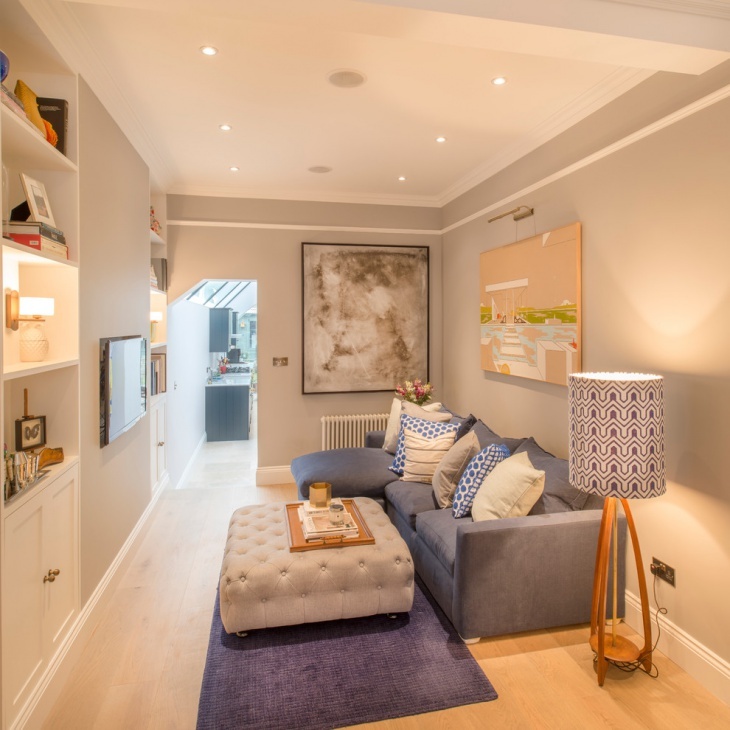 For this living space, one wall is used for the TV, storage and shelving. The other side of the room has the sofa and a standing lamp. 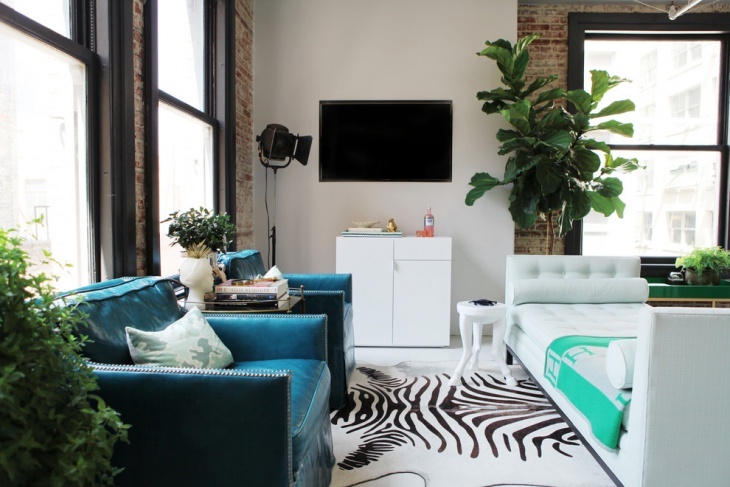 You can turn you small spaced room into a chic family room by using some stylish accents. 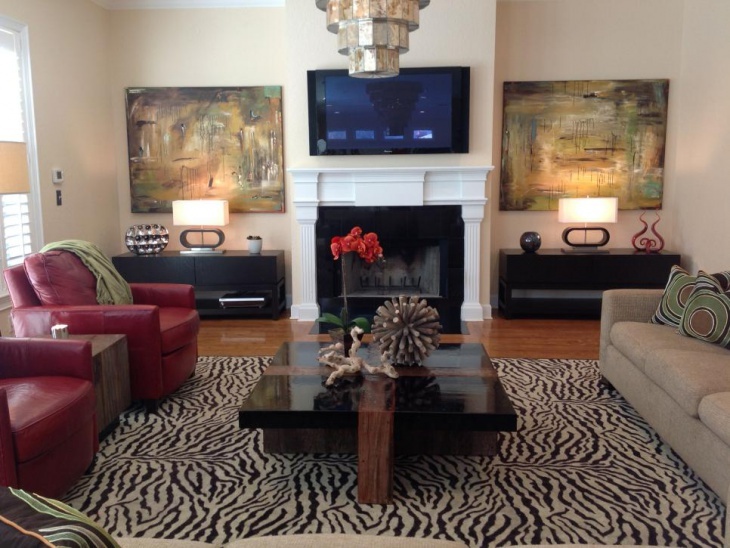 This room, for example, has a zebra-print rug, abstract artwork, edgy style coffee table, and classy accents (like the lamps and other decorative displays). 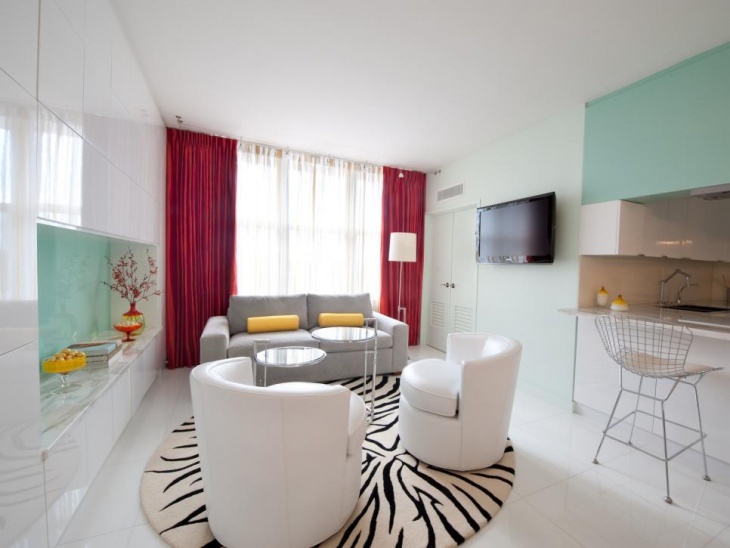 The sofa and the leather chairs guarantee comfort and relaxation amid the chic set up. White marble tiles are great to use if you want your small room to look a bit wider. These tiles can be used for the floor, as well as for a side counter space. 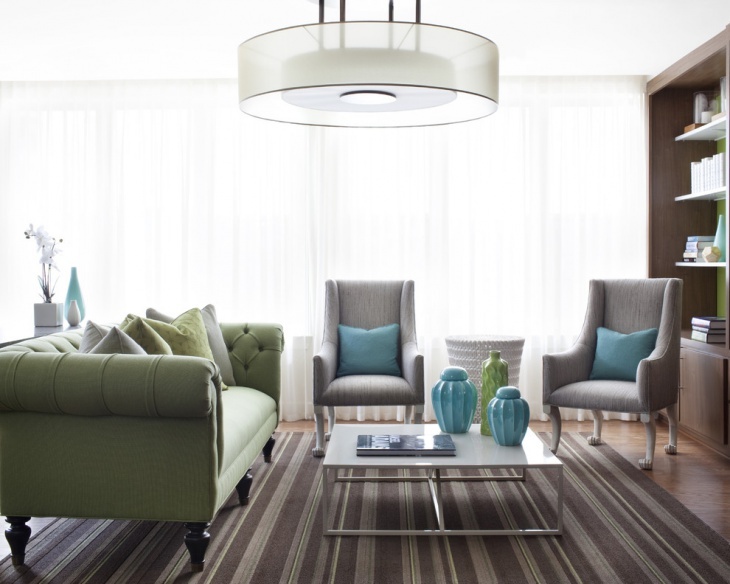 A black and white accented round rug makes the light colored seats stand out. 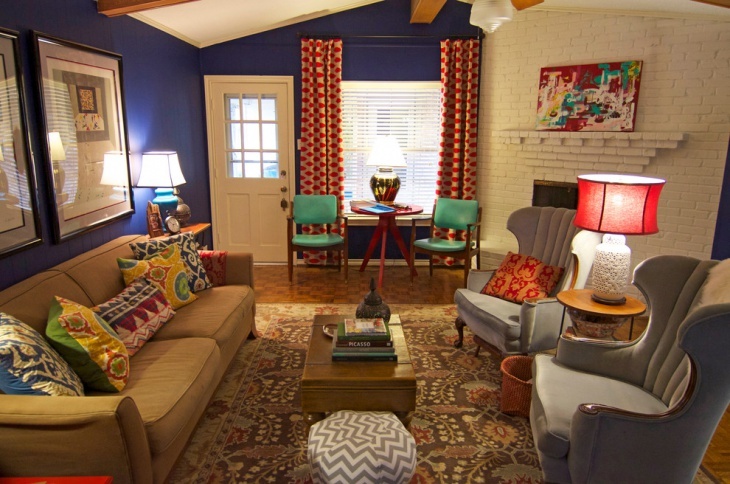 For dashes of color, red curtains and yellow pillows could be considered.